What some of our customers say...? Comments: Amongst the many advertising/offering/introduction emails that I receive into my inbox each day, most of which I delete as unhelpful and unwanted, was one from Groomtech. It caught my eye, I read it and am I glad I did. Always looking for the best prices and service, I have sent clippers, etc. all over the country for servicing and repair when, here is a company that offers and A+++ grade service, at a fair price and with a quick turnaround. Groomtech do an excellent job and having had my clippers and blaster serviced and repaired here, I will not be looking anywhere else in the future. I cannot recommend Groomtech enough. Give them a try, you'll not be disappointed. Comments:After a bad experience with having grooming equipment serviced before, I was very pleased to find Graham and very pleased with the service. Graham at groomtech is brilliant, and comes to you rather than having to worry about sending equipment off and worry about whether it will come back working or not! Comments: Very efficient service and reasonably priced. I will continue to use GroomTech in the future. Comments: Super service, we have been looking for a business that offers service and repairs for our dog grooming equipment. They understand the needs of a small business. Graham's knowledge was excellent. We will be definitely be using graham in the future. Comments: Exceptionally knowledgable, and extremely helpful would definitely recommend. 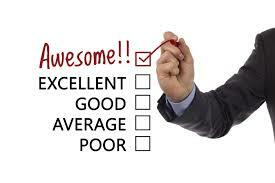 Comments: Top quality service, I had an emergency situation and Graham went above and beyond to help me out. Highly recommended! Thank you again! Comments: Amazing service thanks Graham. Look forward to using my fully working clippers eek !! It's the first time I've used Groomtech and I'll definitely use them again. I sent the clippers, blades and scissors from my grooming business off to Graham and he turned them around really quickly so I wasn't without my equipment for too long. The service was excellent and Graham was really reliable, efficient and helpful. Fantastic service. I have used Groomtech on a couple of occasions and I found their service to be fast and very reliable. Extremely happy with my repairs and will continue to use their services, Would highly recommend this company. 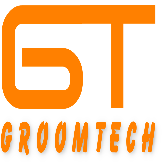 Used groomtech a few times, had no problems with them, Graham is friendly and helpful, any problems and he will do what he can to help you out. So far very pleased. Thank you! I sent 2 dryers to be serviced/repaired, only took 2 days and they were back with me! Very quick turn around and worked perfectly will definitely be sending my clippers and everything to be service. Always get great service from Groomtech. Graham always goes out of his way for a quick turn around on my sharpening. Highly recommend his services! This is the second time I have used Groomtech, will definitely use them again. I have sent blades and scissors from my mobile grooming business when blades have been a problem, the problems have been solved and blade and scissors turned around quickly. Over the moon with Graham service, hes such a lovely reliable honest guy and always tries to help his clients. 5 star service! Speedy service. Friendly polite customer service. Will definitely be using from now on. Thank you. Excellent service, fast postage and friendly people. Always fabulous service. Graham managed to source a new head for my blaster- even though the blaster is no longer being made! Extremely quick, reliable service. Graham is always polite and discusses any issues with equipment clearly and professionally. I highly recommend Groomtech. Sent my dryer off to be repaired on Monday, got it back Thursday morning all fixed. Great fast turn around. Thankyou.